Fabulous Five For Friday!!!! Isn't today Sunday? I guess I'm a bit late. - HAPPINESS IS WATERMELON SHAPED! Fabulous Five For Friday!!!! Isn't today Sunday? I guess I'm a bit late. 1. 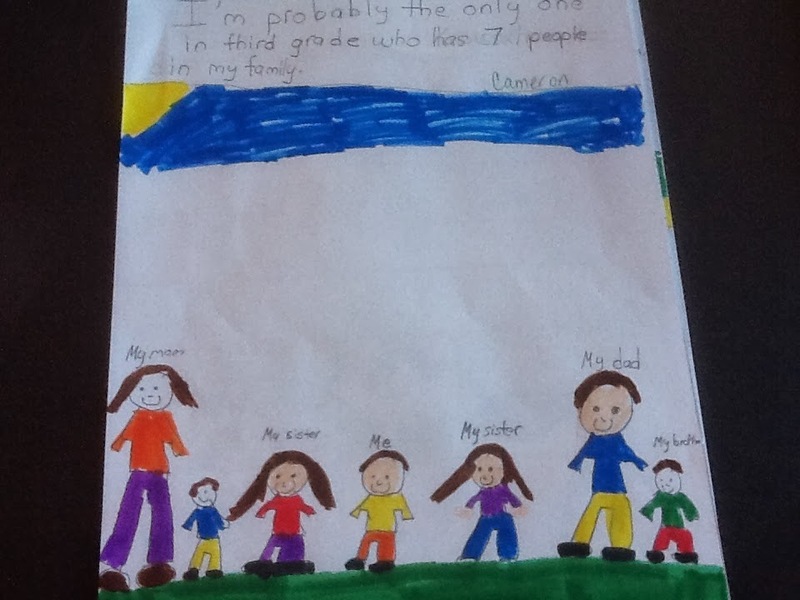 Back to School Night was on Thursday, and I had a tremendous turnout - 14 students' parents came in! The parents were quite happy to sit on chairs in a circle on the rug. 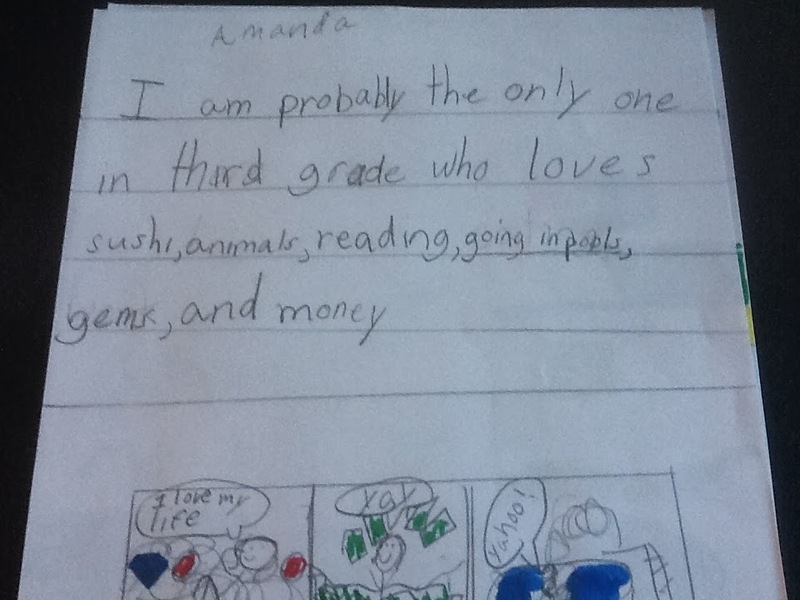 They loved hearing about the books we've been reading; the writing we've been doing; the class meetings we have, etc. One Mom even wrote a sentence on the interactive whiteboard! It was really fun to meet the parents. Click on creative writing on the right to find this class' work samples. I've really been encouraging the kids to add interesting details to their writing, and they are starting to make their sentences more lengthy. 3. I gave blood tonight (Friday), and I was very happy to do so after seeing/hearing a transit police officer speak at our back to school staff assembly. This police officer was shot right after the Boston Marathon while trying to track down the suspects. Due to his injury, he lost almost all of his blood supply. Amazingly, he is alive and recovering, but it makes me realize how important it is for me to give blood which I do every 3 months or so. I'm lucky to be able to donate. 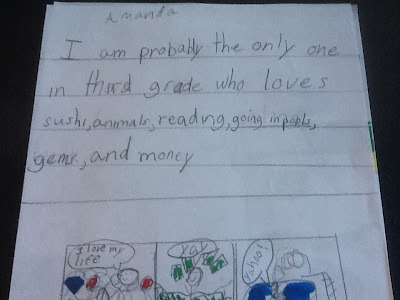 "I am probably the only one in third grade who loves sushi, animals, readings, going in pools, gems, and money." The bottom one says: "I'm probably the only one in third grade who has 7 people in my family." These class Probably books are actually quite insightful. 5. Last, but not least, we had a very big, beautiful, full moon at the end of last week. Do you think that the full moon has any effect on how we behave on Earth? LOVE the class Probably Book! Too cute!